Vanessa-Faye has directed several award-winning original works, supported by Arts Council England. She works both freelance and with her theatre company, Boileroom. She is an experienced dramaturg and script reader for several companies, including Hampstead theatre. Featuring a great ensemble of actor musicians, live music, dancing, hunting and misbehaving, Shakespeare’s most outrageous comedy introduces one of theatre’s great screwball double-acts: a couple hell-bent on confusing and outwitting each other, right up to the play’s ambiguous and controversial conclusion. Presented by the UK's best-loved open-air Shakespeare Festival, recently described in the TLS as "one of the finest events of its kind in the UK" and fourth in The Independent's 10 Top UK Festivals. 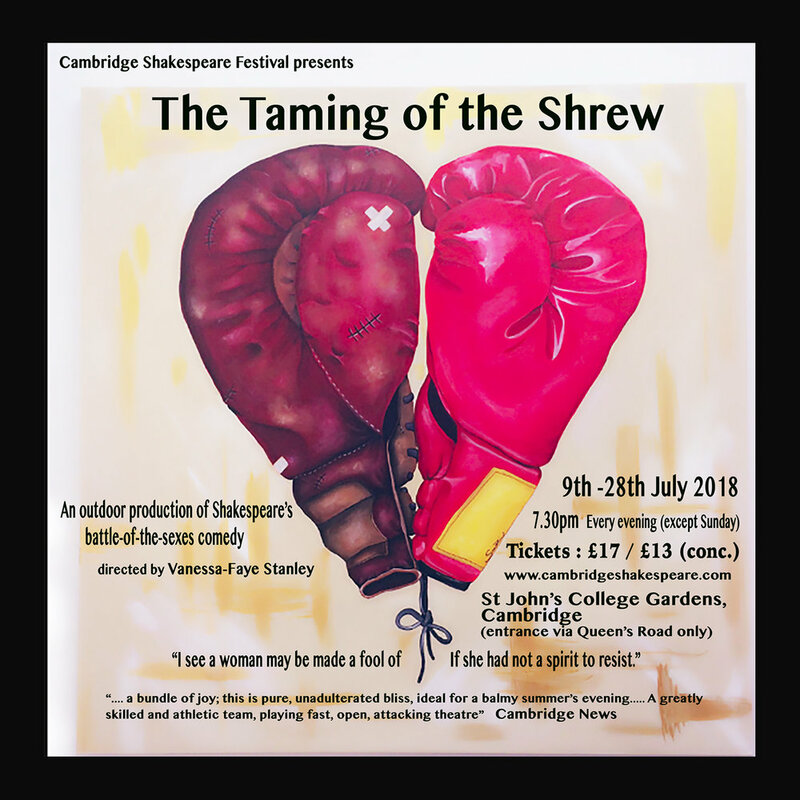 Click here for more information on the festival and to book tickets on the Cambridge Shakespeare Festival website. Sanguine: 1. optimistic, especially in a bad situation. 2. lit. blood-red. 3. arch. bloody or blood-thirsty. On a faded grand estate in central India, a family of five women are determined to survive, surrounded by an apocalyptic landscape ravaged by a terrible accident. A response to the rarely-discussed 1984 Bhopal Union Carbide disaster, the largest man-made industrial accident of modern times, this play combines Western music with Indian folklore and dance, in a story of accountability and family resilience. Written by Tamasha playwright Bushra Laskar. Based on an original idea by Vanessa-Faye Stanley, The Terrific Electric is a piece of new writing which questions our relationship with technology and invention. Boileroom theatre company hosted an extraordinary collaboration between theatre makers and a surgeon, physicist, sculptor and a car mechanic. 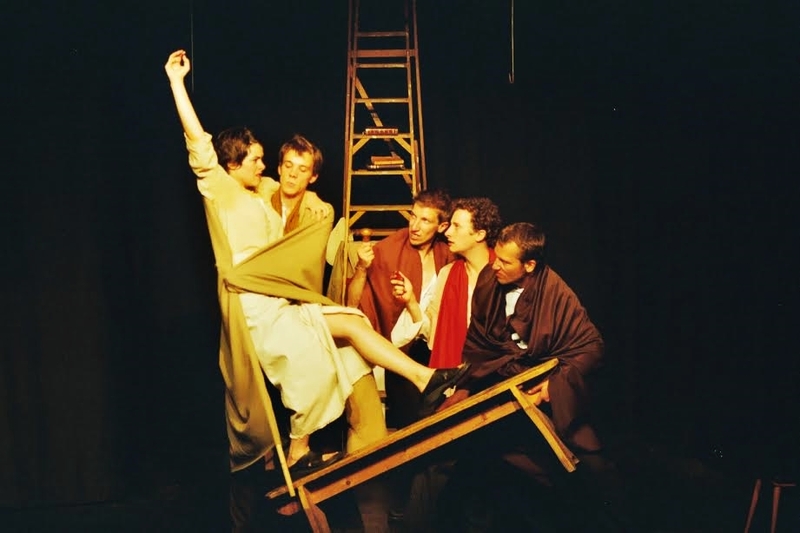 Supported by The Playground and Arts Council funding, it won the OSBTT award for innovative theatre and had a two week run at The Barbican Pit in 2007. 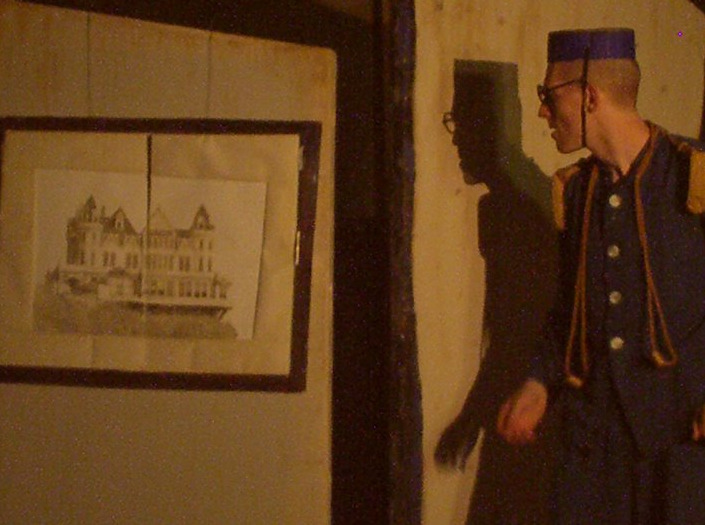 The Bell Boy is a piece of new writing from artist and composer Albi Gravener. It uses story-telling, live music, puppetry and multi-media. It was awarded a research and development grant from The Playground, a network for devising artists then funded by the Arts Council, and had several performances in 2009 at The Playground, London. The Playground is a network for devising artists. Vanessa-Faye has also worked as a rehearsal director for several new writing projects in research and development at the Playground. A modern day art historian restores a fifteenth century painting, unraveling a lost love story between the painter and his muse. A piece of new writing which explores political persecution and the legacy of human relationships, deftly weaving two stories, eras and continents together, from international ensemble AmStramGram. A site-specific interactive theatrical experience which Vanessa-Faye conceived, directed and produced for Oberon's Observatory- a structure built and conceived by artist Pete Bateman. Commissioned by Bestival, Camp Bestival and Gideon Reeling, it brought together two professional astronomers, six performers and an architect… and several thousand revelers. A nautical tale for family audiences developed at Chats Palace with a cast of physical theatre performers. This new writing show combines live music, puppetry, comedy, and object manipulation to tell the adventures of a young boy on Battenberg Island. An original show from two seriously talented comedy performers, Robin Dies at the End of the Show was awarded a series of four and five stars reviews in 2014. Since 2010 Vanessa-Faye has worked with the UK's largest youth drama festival to stage Shakespeare’s abridged plays with young people in major professional theatres across the country. This involves training teachers and directors, working with drama colleges, primary schools and children with special needs.